Below is a screen cap and a bit of information about CDUniverse from their about page. I wanted to stick with the current blue color choices from the site’s current logo, and opted to use shades from that as the background color for stationary header bar and footer. 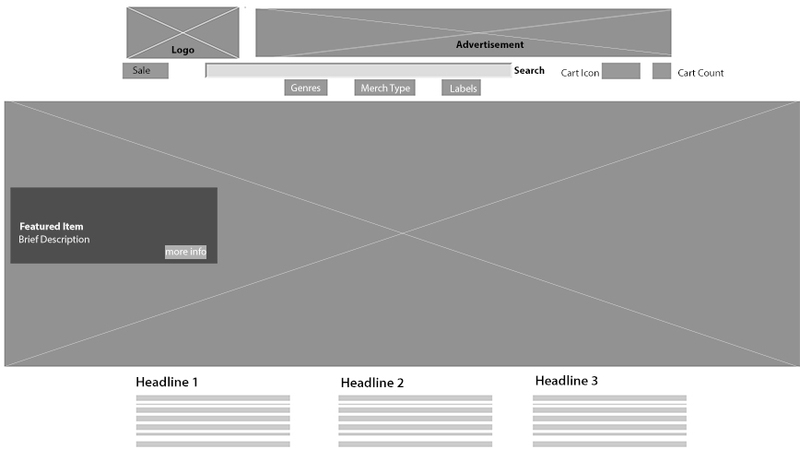 The rough interactive wireframes gave me the idea to use the main features. I included in the header; like the logo, search bar account/profile link and cart link. I opted to use icons for the cart and account links. I opted to go with Raleway because it has 9 different styles available from very thin to very bold. Oxygen only had three styles. The “C” character in Roboto was not circular enough. I chose to mostly use 16 px or above font size in most of the type to ensure the site is easily read. Upon peer critique, I implemented the following changes and modifications into the presentation of the project. I set out to design a presentation to make my design decisions clear and incorporate the major aspects of the project so far. I designed thumbnails by hand, then designed drafts in Adobe Illustrator, and made a project final presentation in Keynote. To see the results, visit my portfolio. 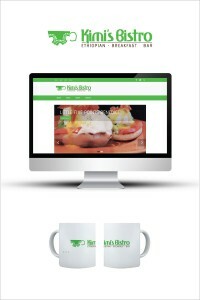 During my first semester at The Academy of Art University, one of the projects we focused on for my Principles of UX class was to redesign an existing e-commerce website. We were asked to pick one website to redesign and improve the UX. We were to decide if we wanted to radically change the way the page looks or refine the features to be more usable. The professor advised the class to ultimately choose the option that we feel the most inspired to accomplish. 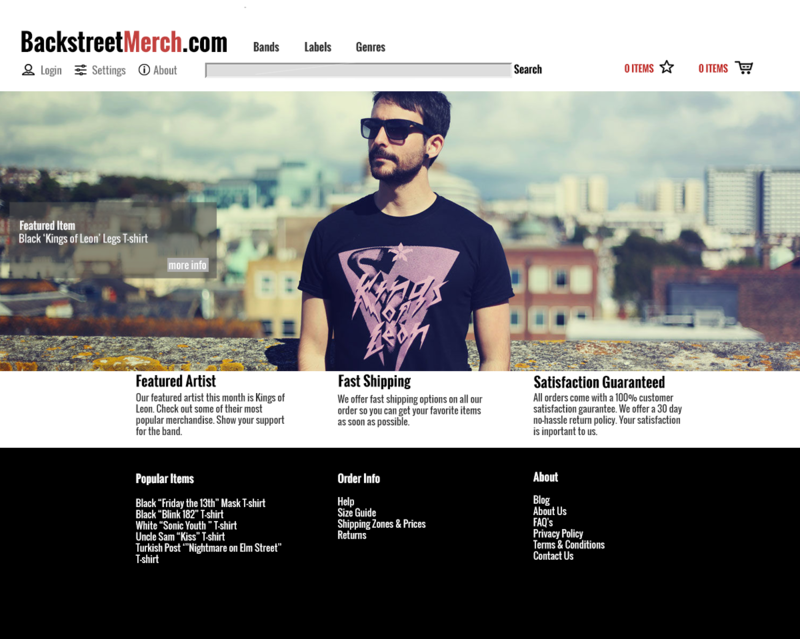 I chose the site BackstreetMerch.com. 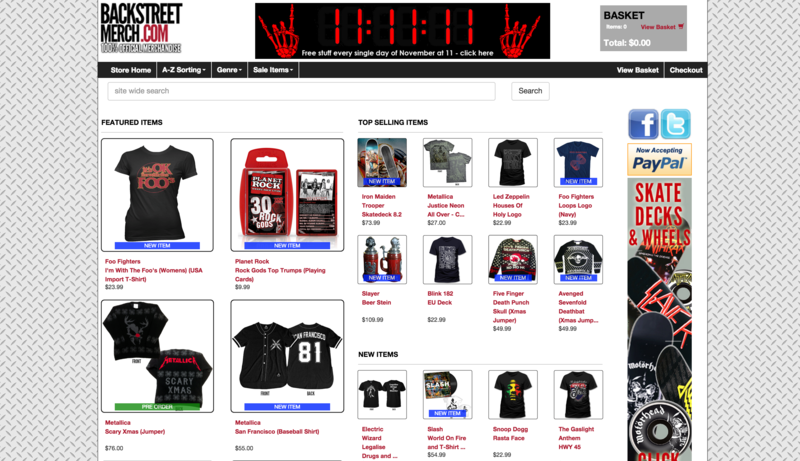 While the offer a variety of merchandise, the user experience was not very pleasant. For an overview of this project, visit my portfolio. I started off by designing a wireframe. The professor asked us to design using simple squares and boxes that illustrate where the content would go. Then I began to research and analyze the competition, seeing what others websites offered or might be doing more effectively. The next phase called for us to work to improve the layout/design aspects. I created a hypothetical screenshot of what my redesigned homepage would look like, as well as a mobile version of the redesign. Next, I designed a mobile layout mockup. 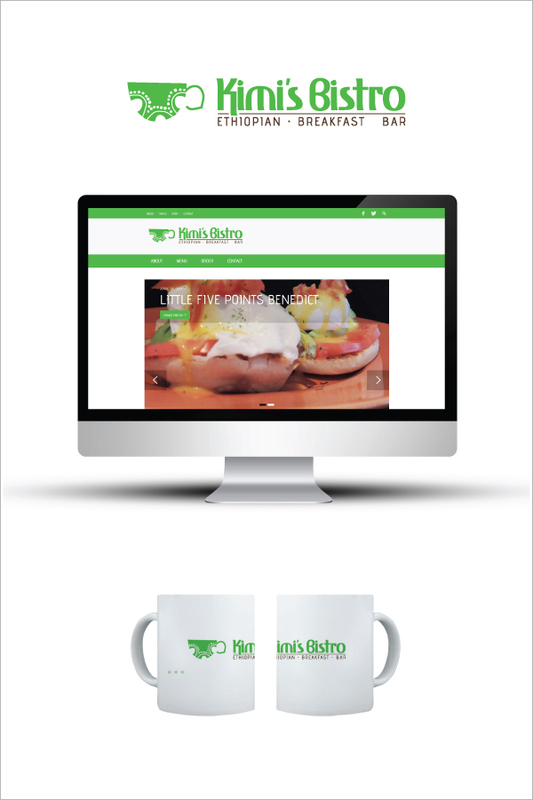 For the speciality pieces in my re-branding project, I designed a website that featured the restaurant’s menu, specials, contact information, and a link to place your order online. I also designed an coffee mug, as a nod to the logo I created. 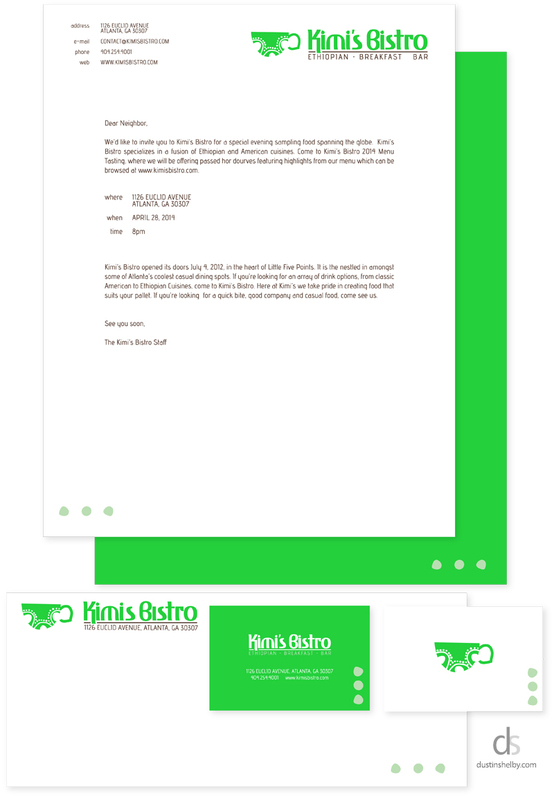 Below are some working drafts for the collateral mailer for my re-branding client. Included is an invitation to a menu tasting, a loyalty card, and a promotional flyer that includes menu highlights as well as a complimentary drink coupon to be used at the menu tasting. For mine, I decided to accentuate the occurrence of the number three throughout researching and designing for this my client. Most notibly in the three colors of the Ethiopian flag that I kept trying to incorporate in my initial logo sketches, as well as the three tittles in the text of my client’s name. For the final product, I punched holes where you see the dots in the physical copies of the stationary. 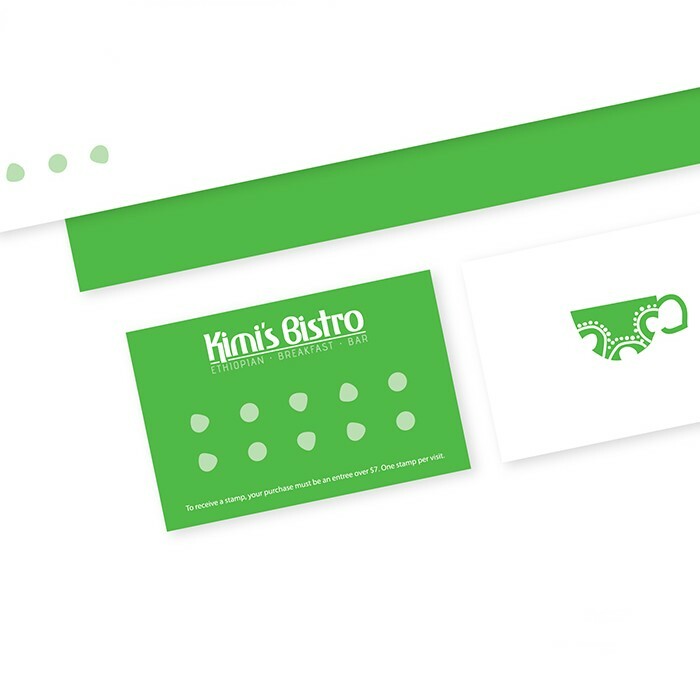 I also plan on incorporating this design motif in the next project, a direct mailer for my client. Tomorrow is critique for our boarded re-branded logos in my Intermediate Graphic Design class. Here is my finished product. Drink up!